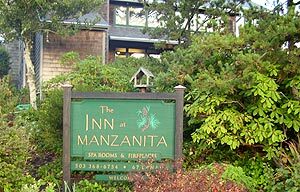 This complete places-to-stay guide with photos begins in Manzanita, heads south to Rockaway Beach, then points out the places just south and north of the area and their lodging highlights. You'll also find updates on specials, deals, availability and other news about lodgings here. Sunset Vacation Rentals. They have a wide variety of homes – some 70 of them – in north Oregon coast hotspots like Manzanita, Neah-Kah-Nie, Rockaway Beach, Nedonna Beach and the secretive Falcon Cove. 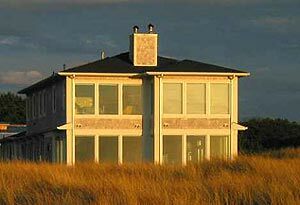 Lakeside Lodge Vacation Rental Home, Rockaway Beach. It's literally the best of both worlds: a quick walk to the beach from a home on the lake. On the southern tip of Rockaway Beach on serene Spring Lake. Features a dock you can fish off of and three kayaks. There's an outdoor fire pit and an outdoor hot tub overlooking the water. Sleeps ten and features two king-sized beds, a queen bed, a full and a twin. Plenty of parking. Two floors and a garage. Luxurious comforters, pillows and sheets. Kitchen with granite counter tops and large array of appliances. Amenities include wi-fi, four TV's, Netflix, large library of movies, beach toys, kites, fishing poles, paddle boat – and dining room seats 10. A short drive to great restaurants in Rockaway Beach or Garibaldi. Rockaway Beach, Oregon (rental office in Nehalem). Lakeside Lodge Rental Site. 503-368-3865. 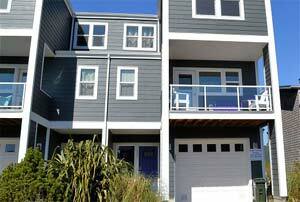 Lakeside Haven, Rental in Rockaway Beach. An elegant townhouse right on the placid shores of Lake Lytle, you’re only two blocks from the beach. Three bedrooms, accommodates eight people. Fun on the water literally surrounds you. Fish or kayak in the lake, then later hit the beach for bonfires and s’mores. Luxury home complete with exquisite furnishings, living room with Smart TV and Direct TV; large, comfy couch and a gas fireplace. Sliding glass door leads to balcony/deck with a view. Amenities include a barbecue grill, wi-fi, outdoor hot tub, washer/dryer, bluray player, toaster, crock pot, and a full gourmet kitchen. Breakfast bar has three stools. Master bedroom with king bed and private bath, plus large shower stall and your own balcony overlooking the lake. Second bedroom with queen bed, third bedroom has a twin bed and double/twin bunk. 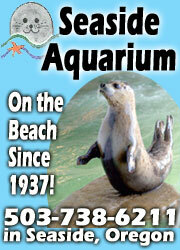 Office in Manzanita: 503-368-7969. 800-883-7784. Find website, details here. 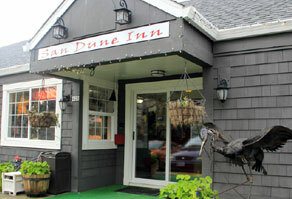 Inn at Haystack Rock, near Manzanita. 3 blocks from downtown, only a block from beach. Garden courtyard with a Spanish-style fountain. Private patios, barbecue area, free wi-fi, flatscreen TV with DVD player, large, complimentary DVD library. Depending upon room: jacuzzi tubs, fireplaces, full kitchen or snack kitchen, queen beds, and even a sofa. Some host sleep two or three, one hosts six. 487 S. Hemlock. Cannon Beach (15 mins from Manzanita). 800-559-0893. Inn at Haystack Rock website here. Beachcomber Vacation Homes, Cannon Beach. 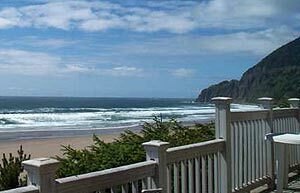 Numerous vacation rentals in the Cannon Beach area, including Falcon Cove and Arch Cape. All homes have full kitchens, some oceanfront and/or pet friendly. Some sleep as many as eight. Cannon Beach (12 miles from Manzanita, Oregon). 855-219-4758. 503-436-4500. Website. 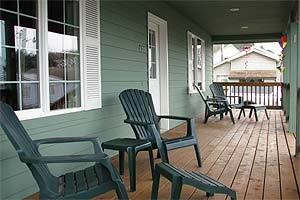 Coast River Inn at Seaside Overlooking tranquil Necanicum River, short walk to beach. Some kitchenettes, sofa sleepers, patios. Some have a Jacuzzi. Some have river view. Chairs for outdoor lounging. 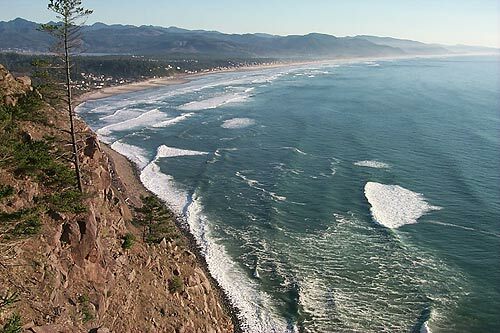 Seaside (25-min drive from Manzanita, Oregon). (503) 738-8474. Website here. 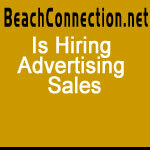 Beach House Vacation Rentals, Inc. Over 65 homes between Seaside and Warrenton; some pet friendly. Many beachfront, or close. 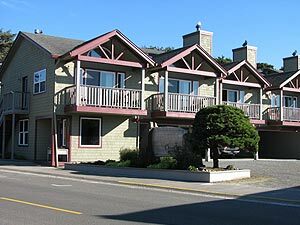 Including modern condo overlooking Gearhart’s pristine beaches, or lakefront lovelies near Warrenton. 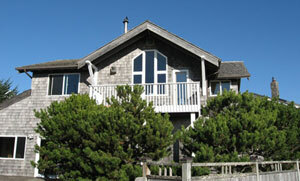 Seaside (25 min drive to Manzanita, Oregon) 1-800-995-2796. www.beachhouse1.com. Hart's Camp, Pacific City. Luxury camping, no effort. Vintage Airstreams refurbished w/ upscale build create new kind of luxury camping, all high-end amenities you'd find at a fine hotel. Fire pits, wi-fi, outdoor gas grill, Adirondack chairs and bikes to borrow. Takes large groups. Pacific City, Oregon. 888-965-7001. Hart's Camp Website here.